I’m a huge fan of fish. 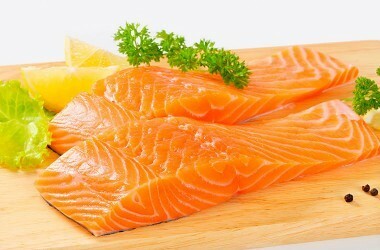 It’s a great source of beneficial omega-3 fats. It’s also one of the healthiest foods you can eat. The problem is, most of us don’t eat fish. And if we do eat the occasional piece of fish, it’s often fried. Which is, to put it mildly, bad news for your health. But while non-fried fish is always a good option, some varieties are better for you than others. Salmon, sardines, herring, tuna, trout and other coldwater fish are all rich in omega-3 fats—but mercury can be a concern. Fortunately you can minimize the amount of mercury you’re exposed to by choosing your fish wisely. Wild salmon and other small fish have shorter life spans than large ones and don’t accumulate dangerous levels of mercury. While the ahi and yellowfin tuna used in sushi have higher mercury levels, the albacore tuna you find in cans is typically from smaller fish with low mercury levels. But be sure to check the label to make sure the tuna was caught off the west coast of the United States or is from Canadian Pacific waters. But keep in mind that while the omega-3 levels in albacore might naturally be higher than those of salmon, the beneficial fat may be depleted during fish processing. But what if you simply don’t like fish? Are you out of luck on the omega-3 front? Not if you take fish oil supplements that provide the two key omega-3s: EPA (eicosapentaenoic acid) and DHA (docosahexaenoic acid). It also reduces the risk for breast cancer, improves brain function, helps maintain healthy weight, supports healthy skin and slows the aging process. With all fish oil has to offer, it’s no wonder I consider it one of the most important supplements you can take. But there’s a problem. Not all fish oil is created equal. Many supplements don’t offer adequate amounts of DHA and EPA. 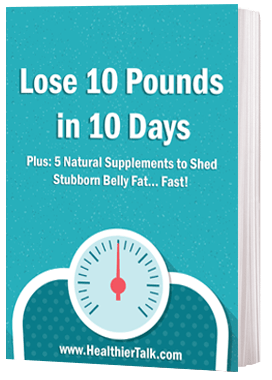 Those that do often require you to take 15 to 20 large capsules to get the recommended 3 to 4 grams of fish oil you need daily. Not only is that inconvenient, it can cause gastrointestinal upset and “fishy” burps. Of more concern, some fish oil supplements on the market today haven’t been properly purified and can contain trace levels of dangerous contaminants like dioxin. Other supplements are made with fish oil that has been subjected to high temperatures or chemical solvents during processing. This can damage the beneficial fats in fish oil. So, even though most fish oil supplements are touted as “natural,” they’re just as processed and refined as the vegetable oils you find in the supermarket. How can you ensure that you’re getting all you should from your fish oil supplement and nothing you shouldn’t? Checking the label typically doesn’t offer many clues beyond the amount of DHA and EPA your supplement contains. Your best bet is to buy a high-quality brand you trust. Reputable companies source their fish from pristine waters and use molecular distillation to remove any contaminants. Taken together with an antioxidant-rich diet based on organic foods when possible, it’s the perfect formula for optimum health and happiness. 1. Antimuscarinic Drugs and Memory Loss in Patients with Overactive Bladder: An Expert Interview With Dr. Gary Kay. Medscape Urology. 2006;8(1). 2. Prasain JK. Effect of cranberry juice concentrate on chemically-induced urinary bladder cancers. Oncology Reports. 2008;19:1565-1570. 3. Zhang X. In vitro and in vivo relaxation of urinary bladder smooth muscle by the selective myosin II inhibitor, blebbistatin. BJU International. 2011;107:310-317. 4. Aslan E. Bladder training and Kegel exercises for women with urinary complaints living in a rest home. Gerontology. 2008;54:224-31. Is there now a concern for radiation by-products in Pacific-caught fish?